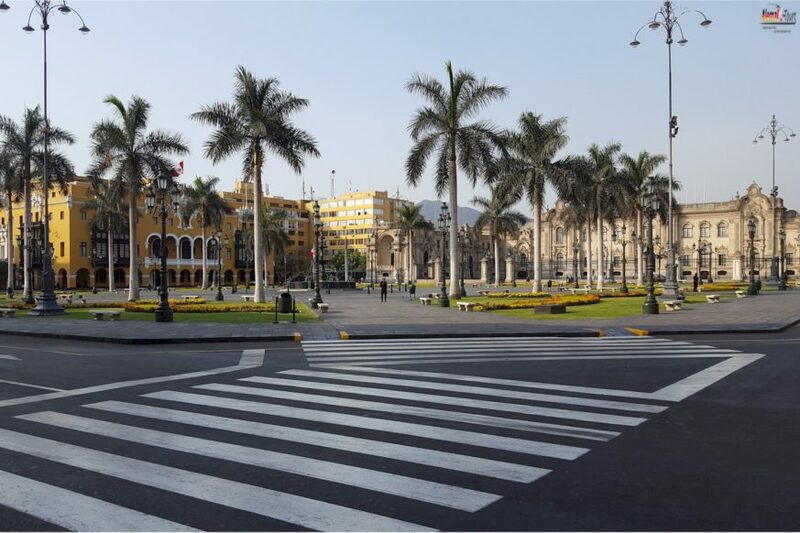 We visit the birthplace of Lima as part of a city tour. 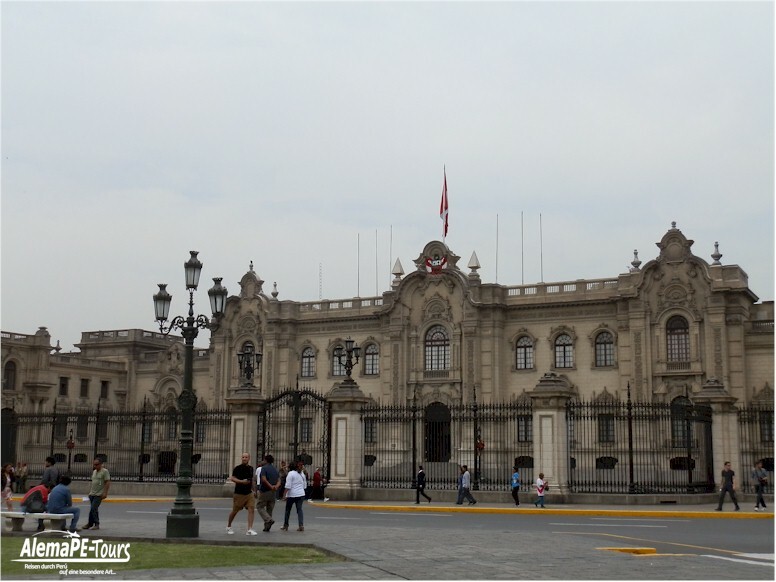 An attractive antique fountain in the center is surrounded by the very majestic cathedral, the Palacio Gobierno (the Government Palace) and several colonial buildings, which today are mostly used by mayor’s offices. 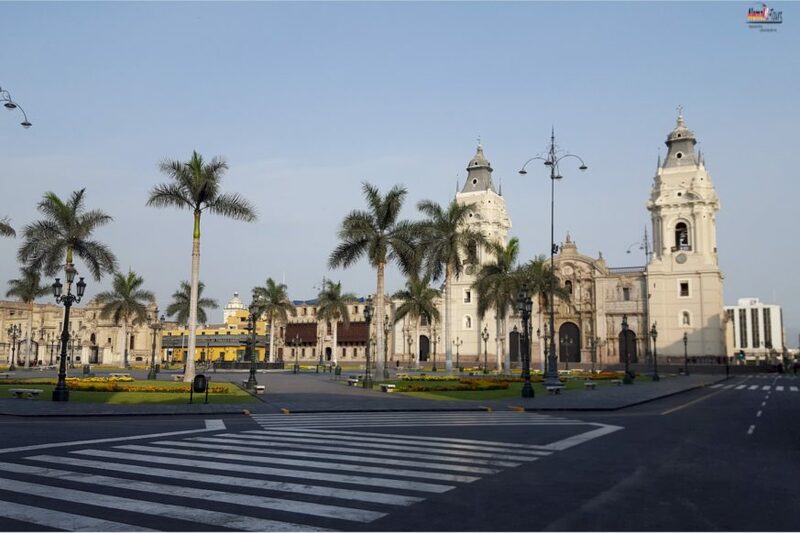 The Plaza Mayor is a very spacious square in the middle of the historical center of Lima, which also houses several of the major attractions of the state capital of Perú. 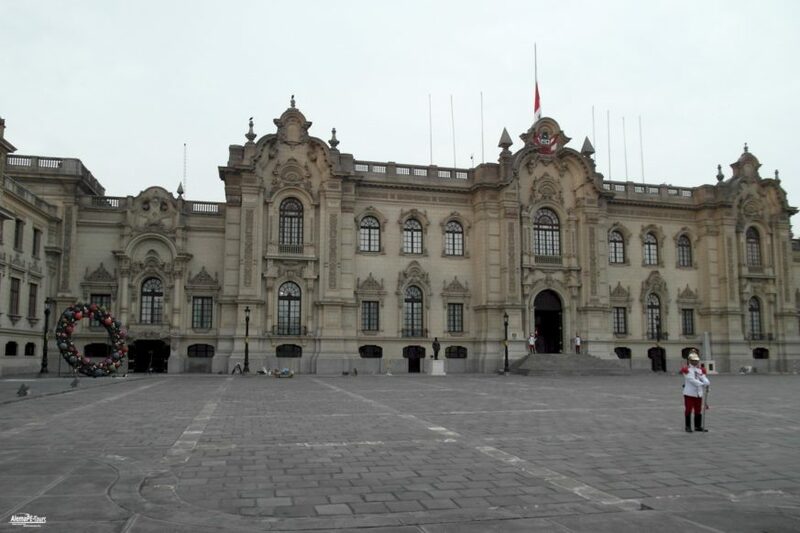 The Government Palace also occupies the entire north side of the square, while the Lima Cathedral is on the eastern side. 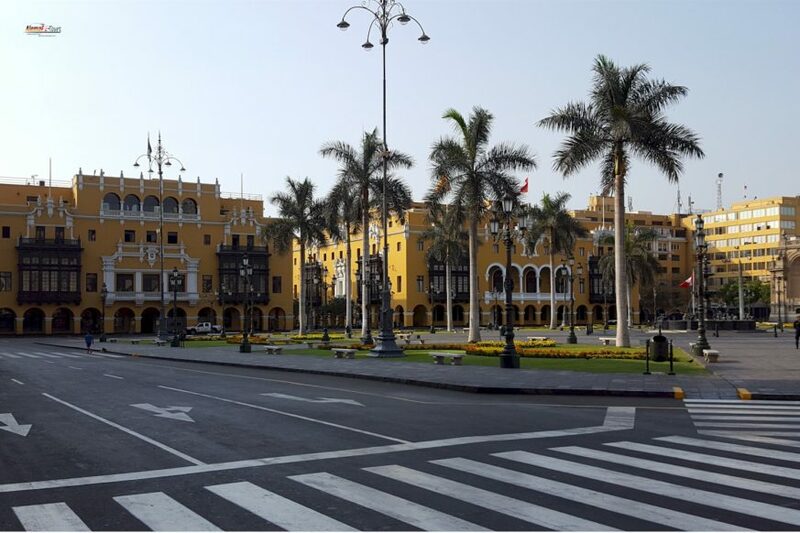 Due to the importance of these sights, this area is known as the center of Lima (Centro Lima). At the center of the square is a large fountain, which is visited daily by many thousands of tourists. Green areas and trees surround the edges. For car traffic, this place is now closed for some time, only tour buses and small horse-drawn carriages, it is still allowed to make a round around the square. The place is also a popular meeting place for locals and tourists. The history of the city is within reach. 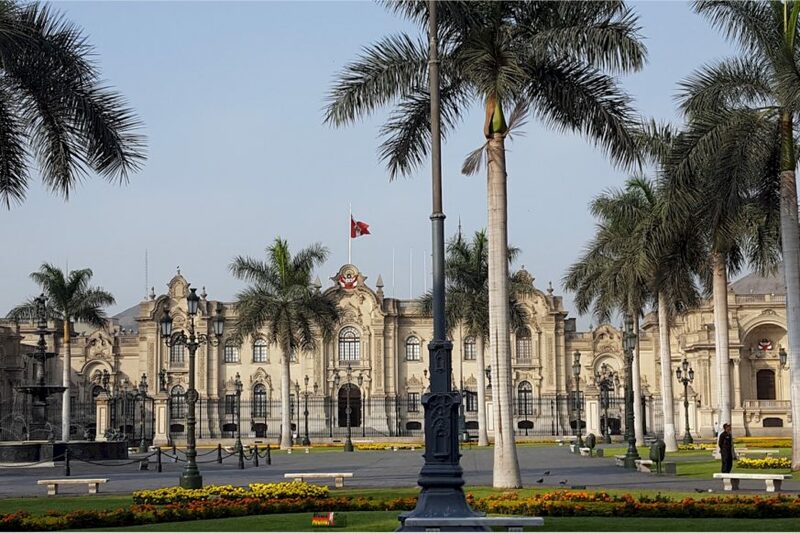 The government palace on the northern edge of the square is from the square by the palm trees and fountains as a foreground is a popular photo opportunity. Guided tours of the palace can be used as a presidential residence and for government meetings, but advance reservations are essential. 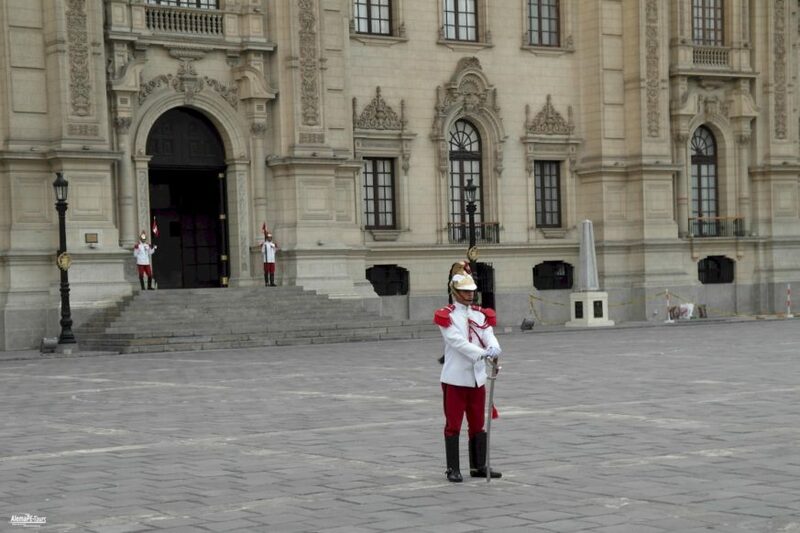 At lunchtime you can watch the change of guard of the Presidential Guard from the square. 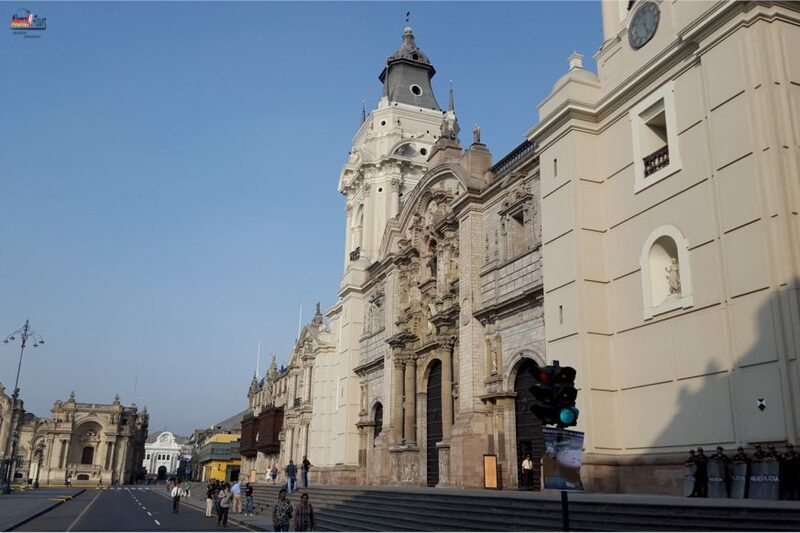 You can visit the majestic cathedral of Lima dating back to the 16th century and take a guided tour. With its Baroque façade and two towers, the cathedral is one of the city’s most significant landmarks. Inside, the very eventful history of Lima is reflected in several paintings. The cathedral also houses the tomb of the notorious Spanish conqueror Francisco Pizarro. 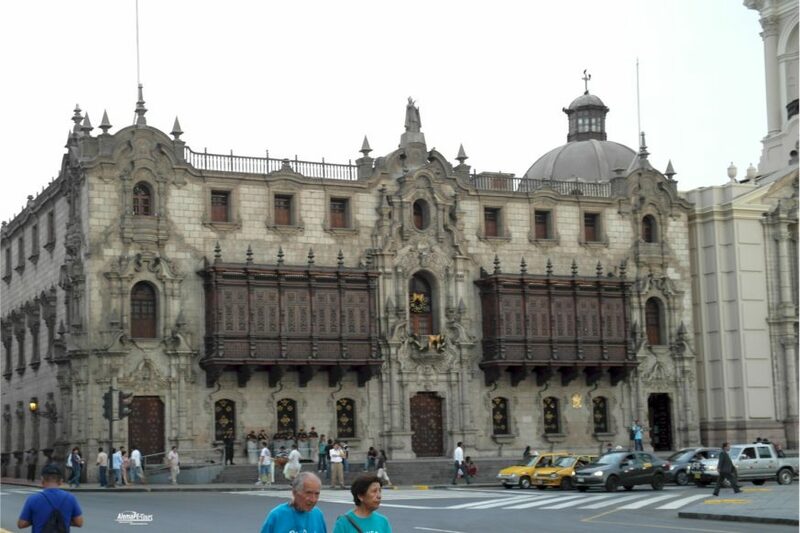 Next to the cathedral is the Archbishop’s Palace (Palacio del Arzobispado), which is also a striking landmark with its antique wooden balconies. The gothic-style building fascinates with its artfully designed windows and lace towers. 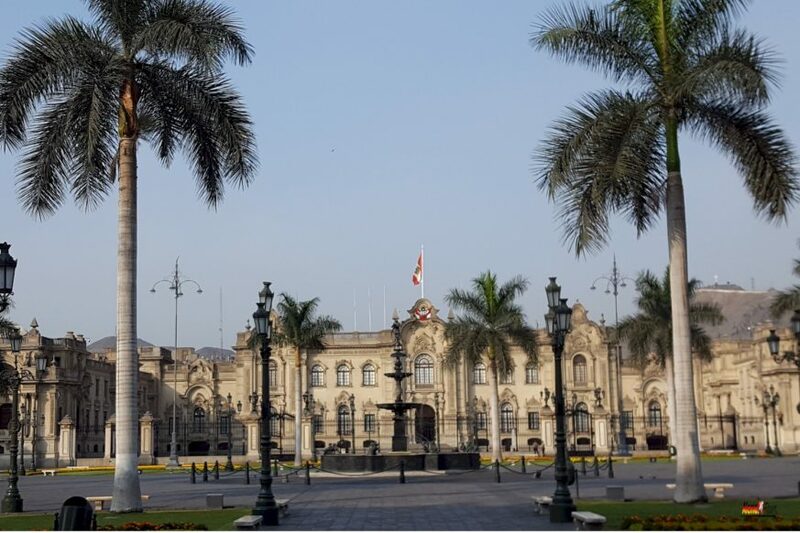 In addition to the many yellow colonial buildings of the Mayor of Lima, which are located around the main square, there are many restaurants and shops in the side streets. The area is known to locals rather than Plaza de Armas (Square of Arms). It dates back to the early 16th century cathedral. Throughout history, it was used as a marketplace and also as a bullring. Also, there used to be a place of execution with a gallows. You will find Plaza Mayor in the city center on the south side of Río Rimac. Just one street further on is the disused Estación Desamparados, which today is mainly used for exhibitions. Opposite the street corner is the famous restaurant El Cordano, where many politicians and locals writers. From there you can also see the next visitor destination, the San Francisco Convent. More about this in another post.